Religion is the belief in something greater like some kind of super bring- a god or multiple gods. Along with the belief of a god is many other things, a holy book, a place of worship, architectual evidence and more. Incans believe that the sun and the moon were much like people, Pachacamac the sun and Pachamama the moon were married, as it was very dark and lonely Pachacamac created all the stars and all the planets. Then he made the first humans from a huge mountain of rock, but these humans were nothing compared to what we are now and knew no way to survive in the world, SO the sun and the moon had two children, one boy and one girl. They sent these chilren to earth to help the humans survive the boy to help the men farm and do labor and the girl to help theh women cook and clean. 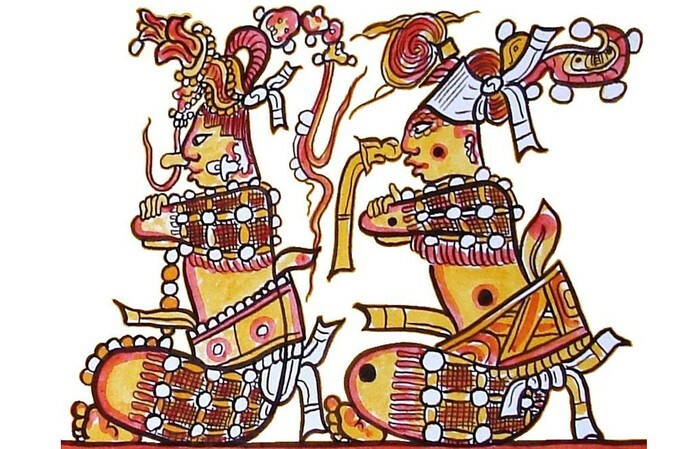 The Mayan people believed that their creation started with two hero twins being sent to earth to compete in a ball game, the twins defeat their opponets and raise into heaven and became the sun and the moon. They tghen believe that people were all made from white and yellow corn. 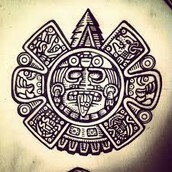 The aztecs believe in a myth known as the legend of the 5 suns, this is a legend of birth, death, and rebirth. 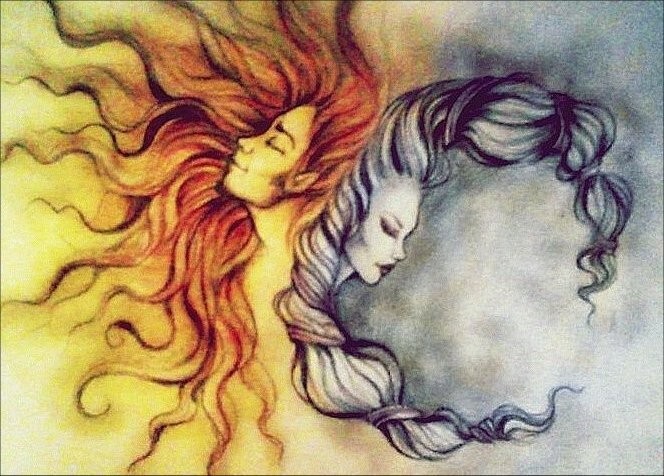 Creation began with the god Omecihuatl (Lady of Duality) created itself. This first god was good and bad, male and female, and gave birth four other gods Huizilopochtli, Quetzalcoatl,Tezcatlipoca and Xipe Totec.These gods created the world. The first sun is the element of earth, the second is the element of air, the third is the element of fire, the fourth is the element of water, and the fifth sun is the element of the age we are currently in. Are these three religions monotheistic or polytheistic? Monotheistic meaning that there is only one god to be worshiped and none have power over him, and polytheistic means that there may be multiple gods being worshiped, some may be held to a higher respect, while some may mean less. The Aztecs were polytheistic, many gods were worshiped for the elements, like sun and war. The Icans occupied three realms, Hanan Paca, The realm in the sky, Ukhu Paca, The realm of inner earth, and Cay Paca, the realm where all humans lived. They worshiped the sun and the moon and many other element gods. The maya had(have) several thousand gods for the elements, so they were polytheistic. Mayan- Blood was viewed as a potent source of nourishment for the Maya deities, and the sacrifice of a living creature was a powerful blood offering. By extension, the sacrifice of a human life was the ultimate offering of blood to the gods, and the most important Maya rituals culminated in human sacrifice. Aztec- Several ethnohistorical sources state that under the guidance of Tlacaelel the importance of human sacrifice in Aztec history grew. The Aztecs would perform a series of rituals on nearby tribesman,sacrifice them using an obsidian knife, and then donate their blood to the Aztec god Acolnahuacatl. Incan- Very little is known about Capacocha, the sacred Inca ceremony of human sacrifice, but with each new archaeological discovery of a sacrificial mummy, more is revealed.